One of the biggest textile apparel ­exporters in the country is hoping to build on a strong and award-winning 2018 by setting ­ambitious targets, removing the cap on foreign ownership, investing more in modern equipment, and inspiring its employees.With a burning desire for learning and keen on the ­application of state-of-the art management methods and ­vehicles into the operations of TNG Investment and Trading JSC, chairman Nguyen Van Thoi’s consistent commitment has yielded sweet fruits. 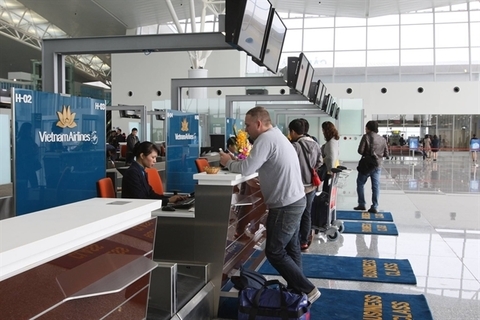 Last year, the company posted impressive growth with a 45 and 57 per cent jump in revenue and post-tax profit on-year to VND3.61 trillion ($157 million) and VND181 billion ($7.87 million), respectively. 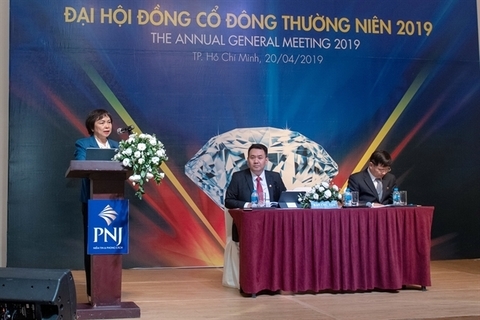 This year, the Management Board set targets of reaching VND4.15 trillion ($180 million) in revenue and VND208 billion ($9 million) in profit. The group has signed contracts that assure their labourers work on a full schedule until at least September 2019. 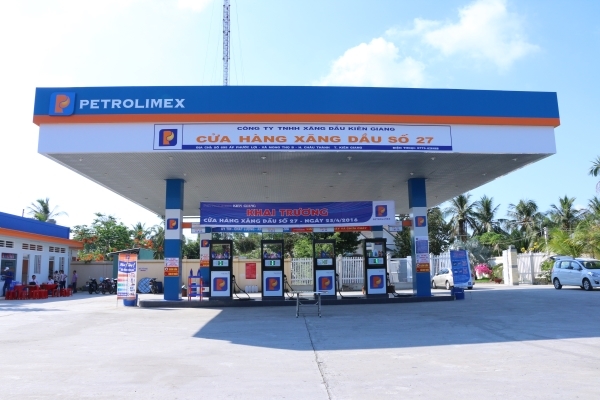 If no bumps in the road appear, Thoi believed they could rake in VND4.5 trillion ($195.6 million) in revenue this year. “With or without foreign investment capital in our structure, TNG has always believed in transparency as a way to facilitate production and business activities. This principle is consistent in the company’s entire trajectory towards short, medium, and long-term development,” said Thoi. 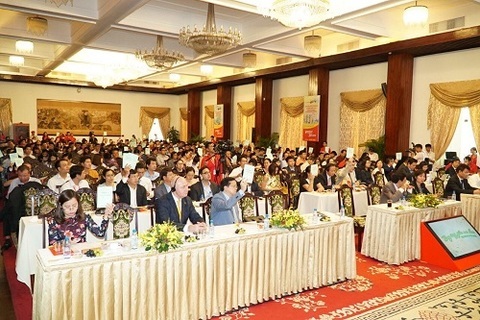 The words were delivered after he joined an event hosted by Ho Chi Minh City and Hanoi bourses HSX and HNX, leading fund manager Dragon Capital, and the Vietnam Investment Review Group. At the event to honour listed firms, TNG was handed two awards, as a listed firm with the best corporate governance, and with the best annual report in 2018. Besides existing reputable foreign partners such as Zara, Mango, GAP, Decathlon, and The Children’s Place (TCP), TNG has recently gained new co-operation proposals. The company has broadened its customer base with new global brands such as G-III from the United States, Imperial from Canada, and the South Korean brand Chois. The TNG chairman said that the large order intake from foreign partners has provided them with opportunities to select the best to optimise their profit target. The group’s current biggest customers, Decathlon and TCP, account for about 66.5 per cent of their total contract value, of which France’s Decathlon makes up 40 per cent. Decathlon is one of the top 20 global distributors and is very picky in selecting partners. To boost profits, TNG has taken the initiative in reducing orders from small partners with low profit margins and shifting towards shaking hands with larger partners. 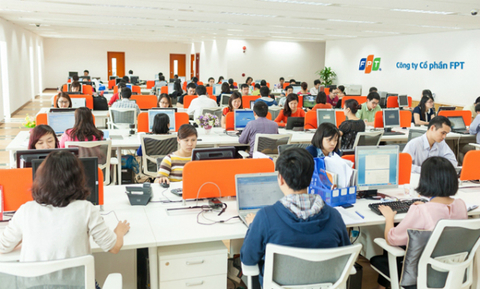 According to Vu Duc Giang, chairman of the Vietnam Textile and Apparel Association, only TNG in the north and another business in the south are currently able to meet Decathlon’s strict requirements. Another encouraging factor is that TNG has been gradually shifting into free-on-board (FOB) form, meaning they directly seek input materials for production and deliver foreign client end-products which help to boost the profit margin by an estimated 25 per cent. Thoi said that the application of a modern enterprise resources planning system has allowed TNG to effectively control costs in production. From the beginning of the year, the company has carried out a smart job with cost control, gaining 5 per cent more in return on revenue ratio. The road for the group to reach today’s success, however, has not been easy. Applying a new business mindset and cutting-edge management methods has been a mighty challenge with major turnaround in the working style. Transparency and inclusive technology application in production and business and in its finance-accounting system has allowed TNG to draw accurate reports about its production business activities on a monthly basis. The firm also superseded the supervisory board with the Internal Auditing Committee, belonging to the management board, which focusses on ensuring smooth production processes and mitigates risks. Significantly, TNG is one of a very limited number of firms having successfully applied the Whistleblowing ­misconduct-reporting system in order to improve transparency and allow effective cost control. Furthermore, through the application of new-generation free trade agreements (FTAs), Thoi and his colleagues are confident of taking advantage of the valued opportunities that will arise. At the 2019 annual general meeting later this month, the board will submit the shareholders’ ambitious business plans with an ­estimated 15 per cent jump a year in the revenue and profit targets in the upcoming five years, compared to the 10 per cent growth target per year set previously. It is only now that the acute vision of TNG’s major foreign investors has been clearly seen. On the sidelines of the TNG bond distribution ceremony last September, Hubert Kim, CEO of fund managers Asam Vietnam, which bought TNG convertible bonds valued at VND200 billion ($8.7 million), said TNG could grow at least 20 per cent in the forthcoming year despite the company setting a modest 10 per cent annual growth target. When Asam Vietnam placed capital into TNG, the latter’s ticker hovered around VND12-13,000 ($0.54) apiece. Value now has reached VND22,000 ($0.96) apiece. As of now, TNG possesses 11 garment branches and two branches on accessory production with a total of 220 production lines. The company aims to raise the number of garment production lines to 250 by next year, along with gradually reducing the proportion of manually-processed goods to FOB goods to boost profit margins. In addition, TNG has engaged in developing the self-design and manufacturing segment with the TNG Fashion brand reaching 30-40 per cent profit margin ratio. In Thoi’s words, this year and in forthcoming years, TNG will continue applying a comprehensive suite of measures to optimise business results, such as outlining detailed business plans, hiring foreign experts, and inspiring labourers. The company also set aside huge resources to invest in state-of-the art equipment and machinery to boost production. 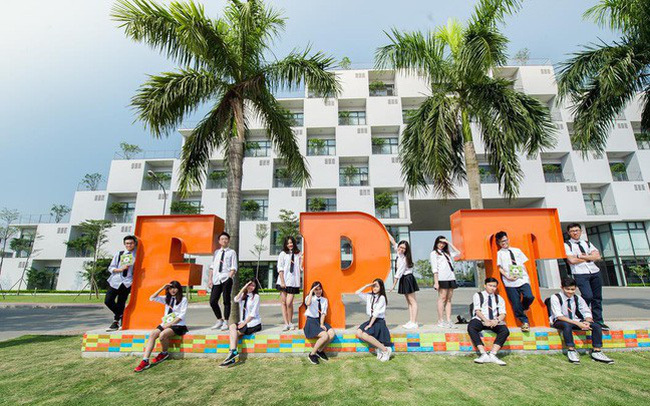 In the northern province of Thai Nguyen, TNG’s headquarters and its major production plant sit alongside the factories of a slew of domestic and foreign giants, creating fierce pressure on attracting talent. But the company, with a compelling work environment and attractive allowance policy for labourers, also excels in this arena. Last year TNG employed nearly 2,400 labourers and in 2019 envisages deploying new management tools to boost operational efficiencies. 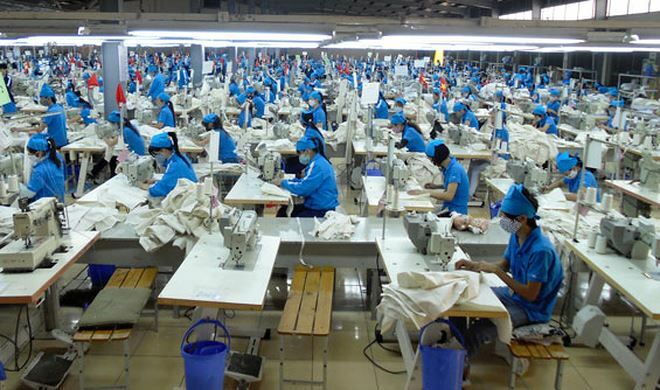 According to statistics from the General Department of Vietnam Customs, in the first quarter of 2019, the textile and garment sector posted $7.3 billion in export value, up13.3 per cent on-year. Although the Vietnam Textile and Apparel Association has forecast brighter development prospects for the sector for this year and forthcoming years, chairman Thoi and his colleagues are concerned with availing of the myriad development opportunities in order to develop in a sustainable manner. Thoi said the 15 per cent annual growth target until 2024 presents big challenges to company leaders. They, therefore, wish to have more synergies from business partners to jointly realise the mission of launching TNG to a new high in development.